How much is it to hire? Standard 24hr hire starts at £475 including licence fee and a £200 bar tab to spend on the day as you wish. (This may change depending on the booking requirements). For weddings we do not recommend a free bar. You will not get value for money and weddings are expensive enough. We recommend subsidising the bar to make the drinks cheaper, or having a bar tab with a limit set to within your budget. Or having certain drinks complementary, and not the whole bar. Your guests then pay for the remainder of the event. This option will affect how much you pay for the hire of Brewbox. After the hire fee, all other prices are completely bespoke to your requirements. We will travel to pretty much anywhere, but there may be a slight increase in hire charge. We are based between Cheshire and Northumberland. Cancellations within 1 month, the deposit is fully refunded. Within 2 weeks, 50% is refunded. If closer than 2 weeks prior then no refunds are made. If we (Brewbox) have to cancel the event through any means, except unsuitable weather, then a full refund will be made. What are the dimensions of the horse box? Approximately 2m wide x 4m long x 3m high. If the drinks supplied at the event are chargeable (ie not a free bar), then the local council require a Temporary Events Licence (TEN) be applied for. We apply for this on the hirers behalf at a charge of £25. This must be done 14 days (in some instances 28 days) before the event, and may not be permitted if the council deem the event not within the guidelines of the licencing objectives. Or a council may impose special requirements be adhered to. ie: security present or a curfew etc. Do you use plastic or glass? We use recyclable plastic by default at all our events. Special insurances and stricter H&S requirements have to be adhered to for the use of glass. If the hirer wishes to use glass, then they must hire the glass ware from a third party and at their own risk. We do try to limit plastic usage to help the environment, and will not use plastic straws. Yes. Though the amount we can serve during an event is limited. What products can we have on the taps? 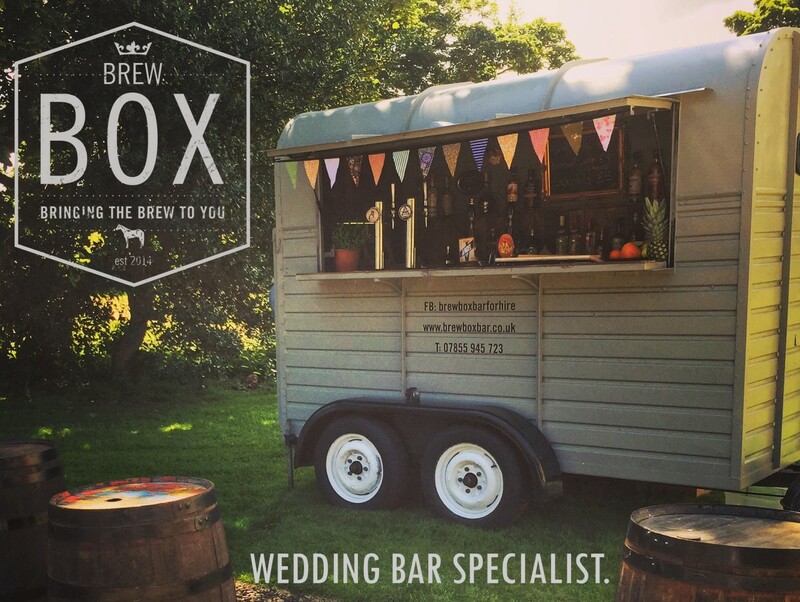 Brewbox can be fitted with 4 taps, 2 for ale and 2 for carbonated products (lager / cider). It is not possible to serve Guinness , though other stouts are available. Wherever possible we try to serve what the client requests. We are completely free of contracts and can order direct from the brewery. But at times when requests cannot be served, a suitable alternative is recommended. We do like to source products that are as local as possible. We will always favour craft over mass produced products. How much are your drinks normally? WE DO NOT DO TABLE SERVICE.